Can you smell the cookies? Yes, it’s happening: I’m baking! It’s 86 degrees in here, very humid, and the air conditioning is on. The noise of the hood is cutting through the heat, yet – thankfully! – the little one is sound asleep on the silky brown carpet. I’m baking not because I’ve been craving cookies, nor because I enjoy sweating next to the hot oven, but because I need to feel that, somehow, my mom is still with me. 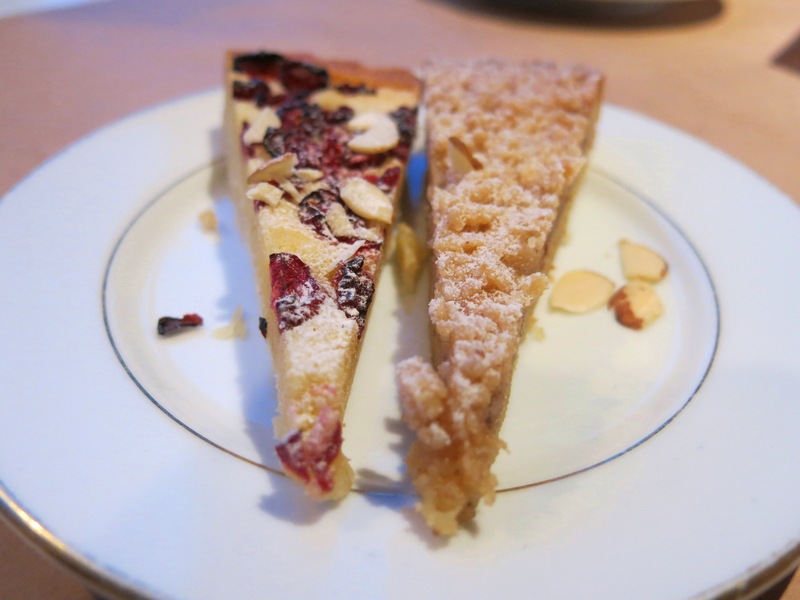 I can’t remember how many times I ate my aunt’s upside-down cake as a child, but one thing is for sure: I ate it a lot! This is a modified version of her 40+ year-old recipe. The original version uses apples, and its deep caramel flavor coupled with the refreshing lemon undertones makes it simply unbeatable as a dessert. Our Flag Day dessert: an ode to summer featuring strawberries and cream – and more! In this dessert I’ve used my beloved berries to visually pay homage to Flag Day, which is today. 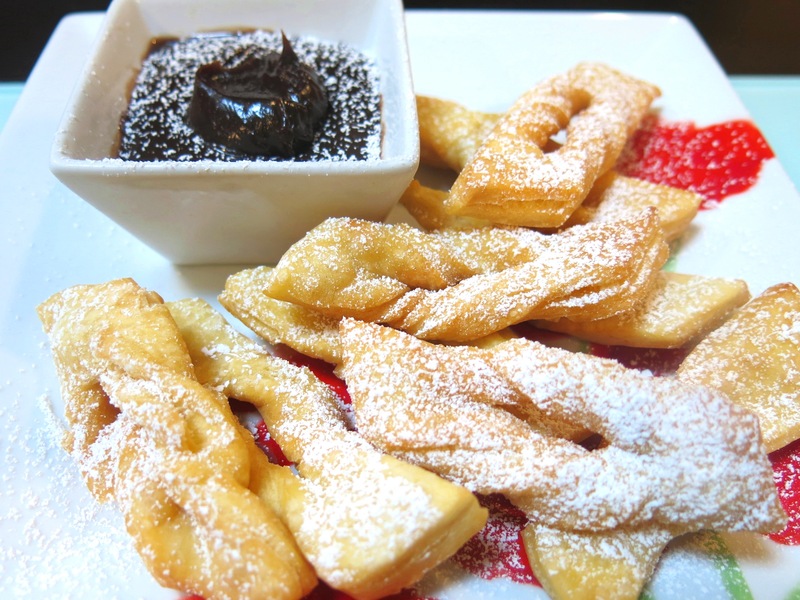 This sweet dish requires little preparation, and the result is deliciously simple and likely to satisfy the expectations of both adults and children. By the way, ricotta cheese is one of our daughter’s favorite cheeses (she’s a cheeseaholic, just like her mom 🙂 ). Have you ever been afraid to make pastry dough? I have – and I still am! Luckily, my mother-in-law has recently given me the recipe below, which is an easy to make, but also economical (no eggs, no butter!) 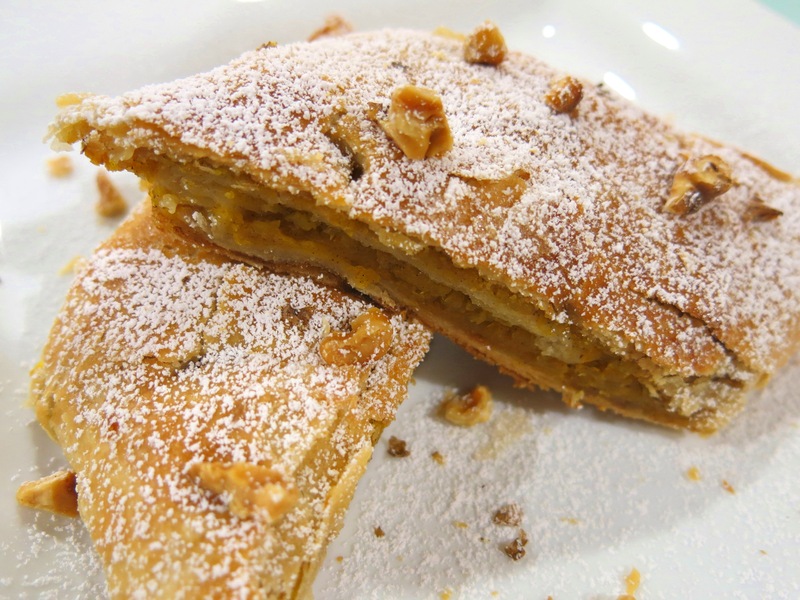 strudel-type pastry. I made “Little Lies” cookies: a story of sweetness and… lies? This is a traditional fried cookie recipe I have from my mother, and intriguingly enough, the name of these cookies can be translated as “little lies.” You can find them in the Polish cuisine too, where they are called “angel wings.” To us though, they are “little lies.” I have been wondering why they bear this name in our cuisine. Is it because the exterior fools you into thinking they are crispy like cannoli or like the angel wings (their Polish counterpart), when in fact they are soft and light as a feather? Or is it because they trick you by appearing complicated, when in fact they couldn’t be easier to make? Questions and assumptions aside, these are delicious, quick to prepare, and very economical – you’ll get a lot of cookies if you use the quantities below. 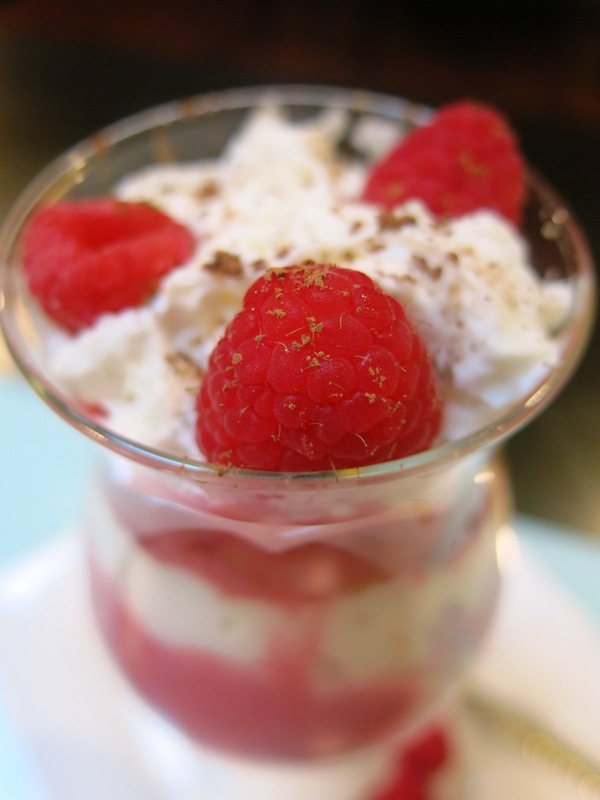 Raspberries and cream: a chilled dessert for overly hot weather!